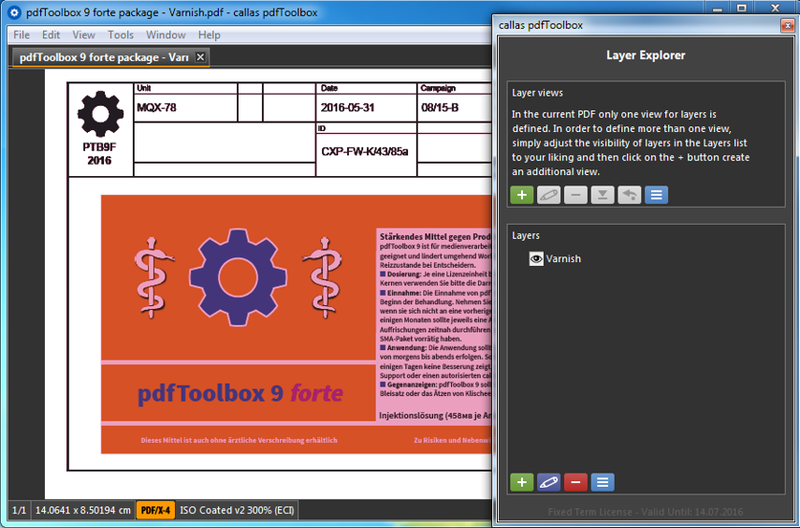 This functionality adds an additional, colored object to the PDF. For determining where existing objects are painting, the page will be internally rendered. A new shape will be created based on this result as a vector object. 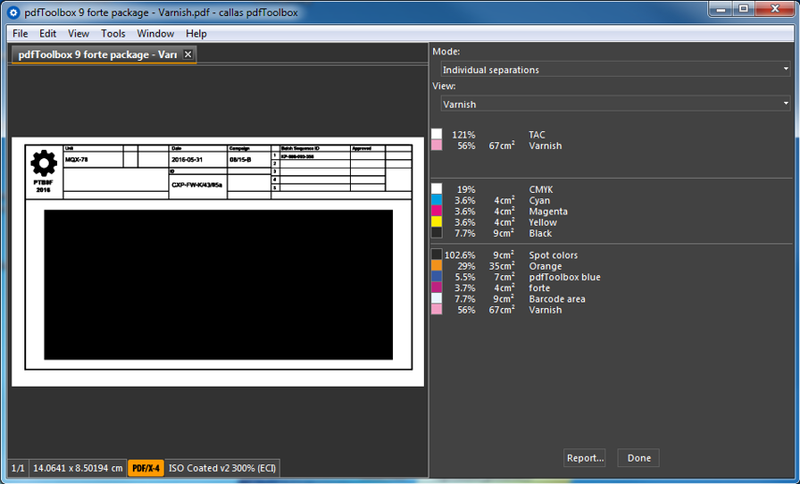 The name of the created spot color can be chosen and the color tint value be defined. Also the the position of the shape can be set. 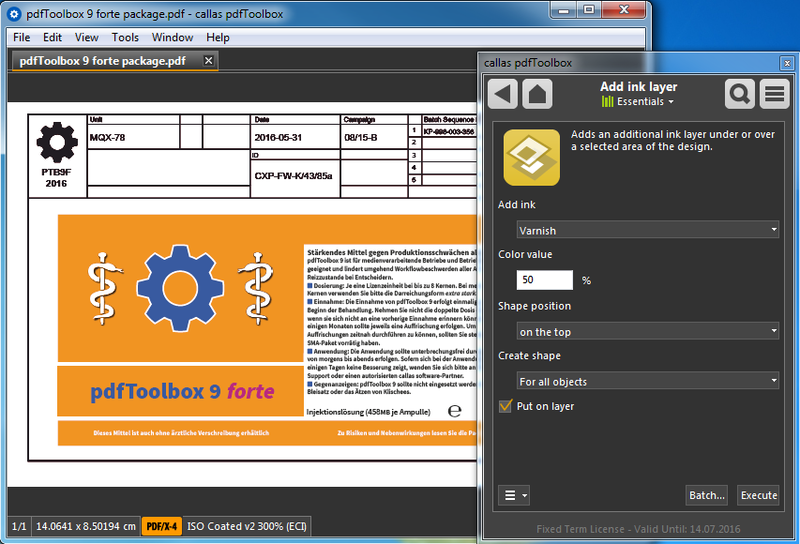 Optionally, the new object can be created on a layer. For example, to create a new object, which covers all painting content, just choose "For all objects" and define a color value. 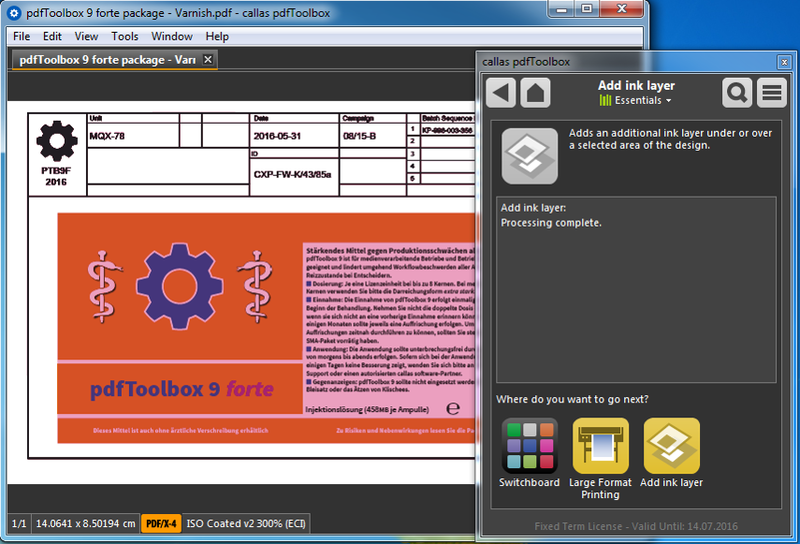 After processing a new vector object, using the spot color "Varnish" will be added. Covering all content, also objects using white. When inspecting the result using "Visualize individual separations", the new created object using "Varnish" can easily be reviewed. 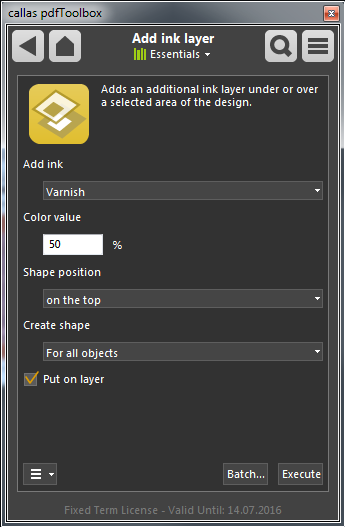 If required, the newly added object will be placed automatically on a layer, which will have the same like the spot color.